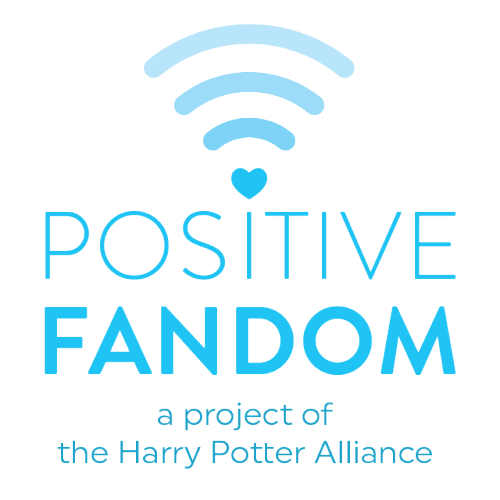 Thoughts: Given the options, I certainly don’t hate this outcome. I feel I’m in excellent company. 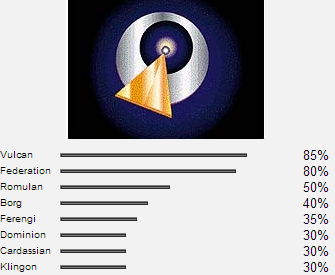 However, I’m a little worried that I scored so high on Romulan and Borg. Funny how cold logic can be used for evil as easily as good. 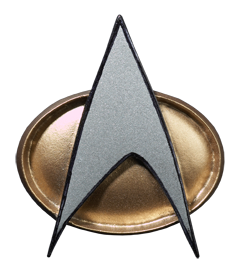 Another Star Trek craft this week. 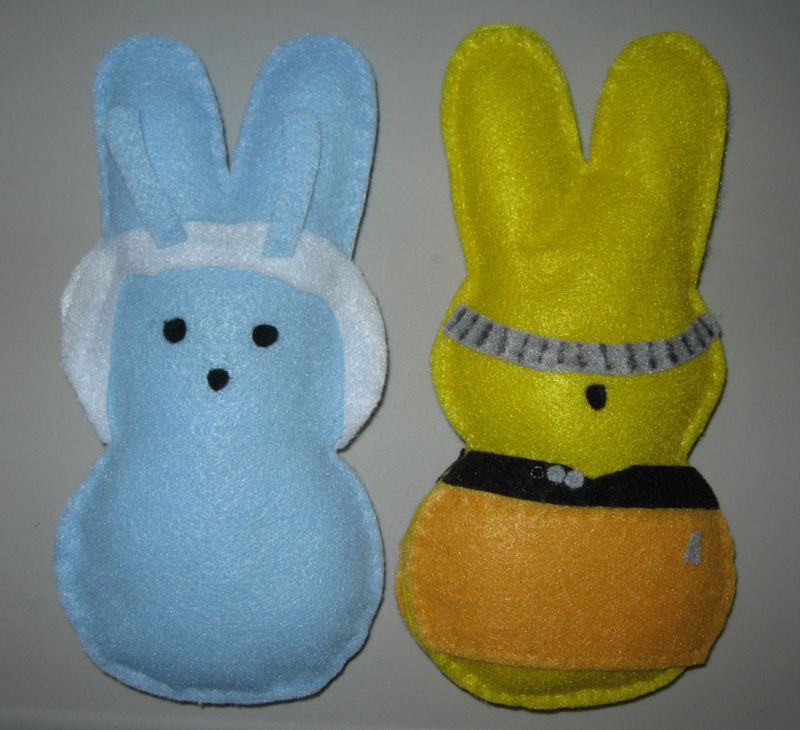 For a swap, we were tasked in making stuffies of Star Trek characters in the style of marshmallow peeps. I am not a sewer, but I gave it a shot and ended up making two. 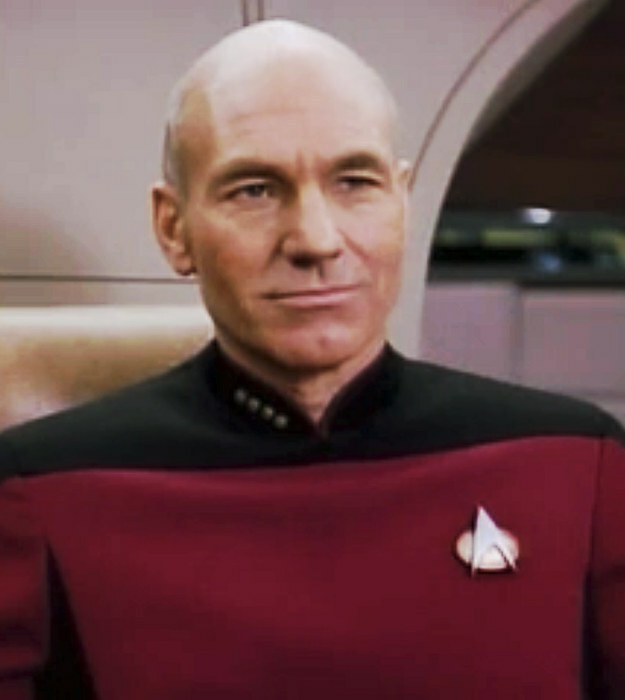 In honor of Captain Picard Day yesterday, I thought this was the time for my favorite episodes of the show that, at an early age, threw me into the great fandom that is Star Trek. 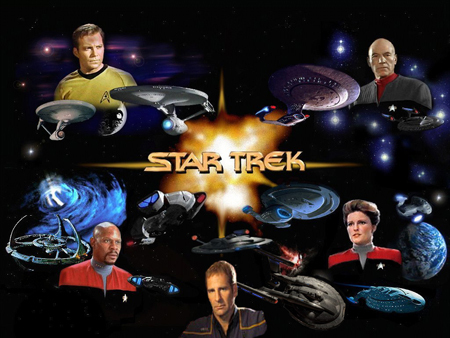 Quiz: Which Star Trek Captain Are You? In honor of Captain Picard Day next week, I thought this was the time for my favorite episodes of the show that, at an early age, threw me into the great fandom that is Star Trek. 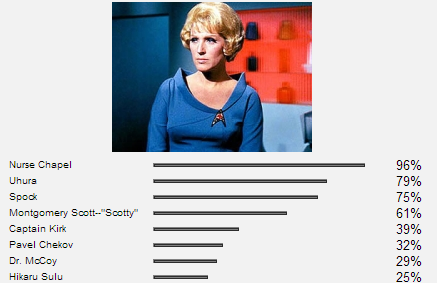 Quiz: Which Star Trek Character Are You? You are Nurse Chapel. You are very soft-hearted and need to protect yourself from hurt. You are not very lucky in relationships, perhaps because you choose cold and unemotional people as mates. You are very caring, though, and should probably choose a career in therapy or medicine. You are attracted to intelligence, but don’t let yourself be led around by those you consider your superiors. You have many of your own resources to rely on, and will be very successful if you can stand up for yourself and have pride in your abilities. Here are some Star Trek ornaments I made last year for a swap. 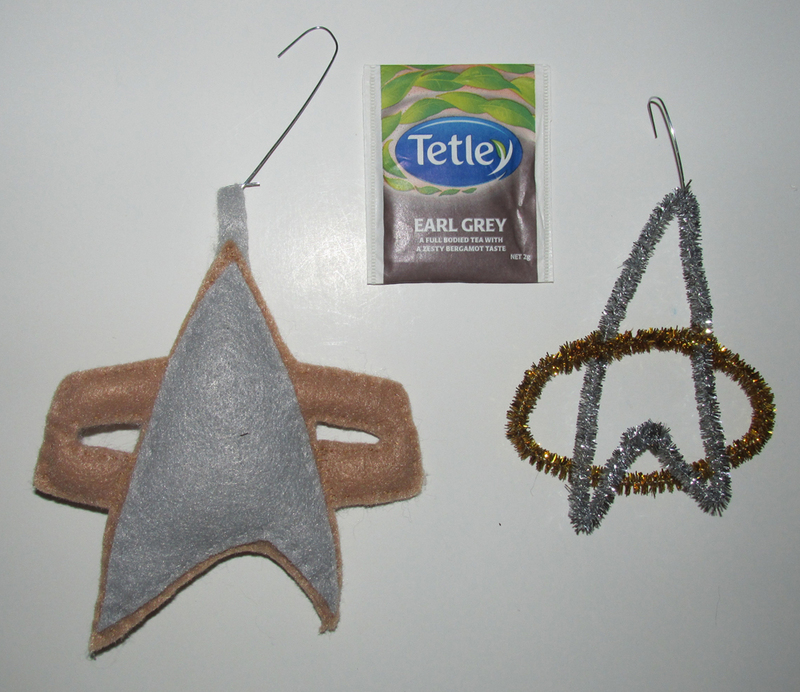 My partner said she liked The Next Generation and Deep Space Nine the best, so I made ornaments inspired by com communicator badges from both those series. One is a stuffie, made of felt, the other made of sparkly pipe cleaners. 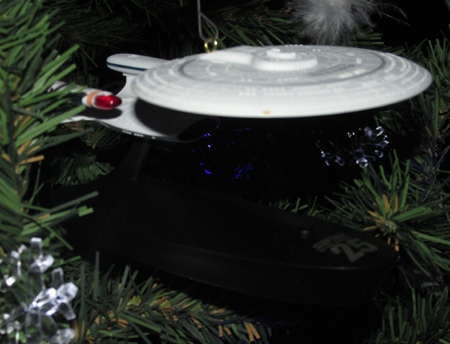 When I saw this Hallmark ornament in 2012, I splurged and bought it for myself. Just like people have a doctor in Doctor Who that is theirs, I have a Star Trek series. 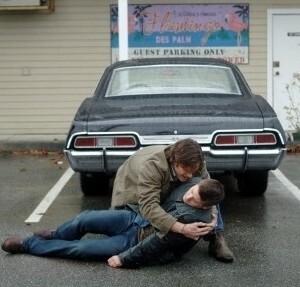 I had seen the original series a number of times, but it wasn’t until the Next Generation that I became hooked. I grew up with TNG in my life and it was amazing to see some of the episodes in theaters last year as part of the anniversary and the Blu-Ray release. 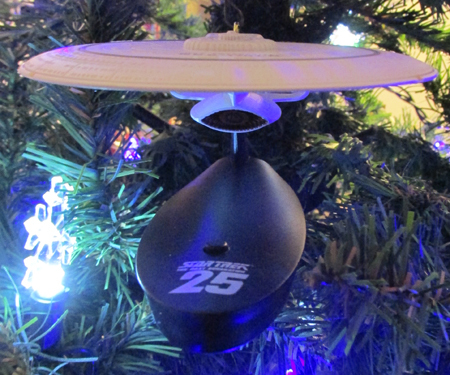 This ornament with “my enterprise” comes with a sound recording of the opening credits as well, to set the mood.